Remarkably, Salazar said her resignation was effective on 11 September 2018. Photo: Former TTFA vice-president Joanne Salazar. Apart from the obvious implications in John-Williams losing two-thirds of his slate and a former ally on the TTFA board, lies a more sinister inference. 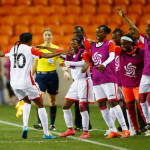 How could the TTFA president count Salazar in a vote to appoint Shawn Cooper as Trinidad and Tobago Women’s National Senior Team head coach on 17 September, when she quit the board a week earlier? 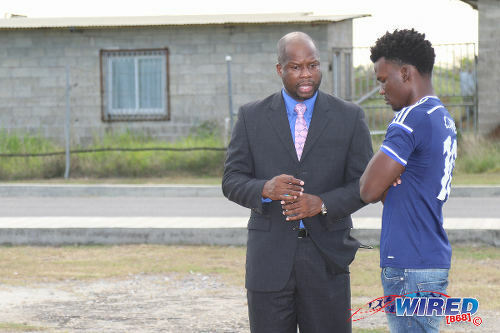 In a release on Monday, which press officer and board member Wayne Cunningham confirmed was issued by John-Williams, the TTFA tallied five votes for the selection of Cooper, with three votes against and one abstention. 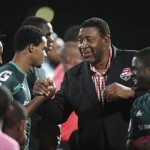 Karanjabari Williams (Northern FA), Joseph Taylor (TTFRA), Keith Look Loy (Trinidad and Tobago Super League), Sharon Warrick (Women’s League Football), Julia Baptiste (TT Pro League) and Collin Partap (Central Football Association) and Cunningham (Eastern FA) voted against selecting Cooper without a board meeting. However, John-Williams incorrectly suggested that Cunningham abstained while he controversially refused to recognise votes by Warrick, Baptiste and Partap—apparently because the three were provisional members, although the constitution does not deny them a vote. It still left the board, exclusive of the the members he chose to ignore, potentially split with four members each. 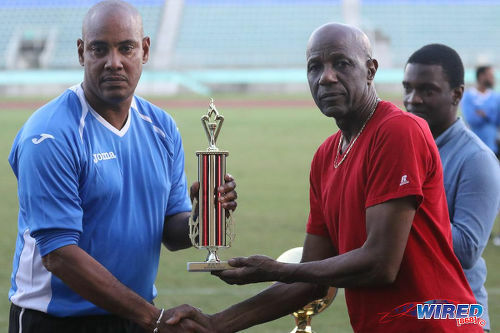 Photo: South All-Star and Presentation College (San Fernando) head coach Shawn Cooper (left) receives a trophy from Field of Dreams managing director and event coordinator Steve David after the all-star schoolboys contest at the Mannie Ramjohn Stadium on 10 December 2017. So, John-Williams counted five votes anyway, by suggesting that Salazar was still an active board member. It meant that instead of a vote of seven against his four, the president claimed the count was five to four in his favour. Arguably, it was another example of John-Williams’ poor grasp of the constitution. Article 37.2 says that, in the case of a tied vote, the president has the casting vote—so he would have won without Salazar. Or at least he would have triumphed in his own head. John-Williams, who has not had a board meeting since June—another constitutional violation—might now be asked to explain to TTFA members how he managed to count Salazar’s vote a week after her resignation. 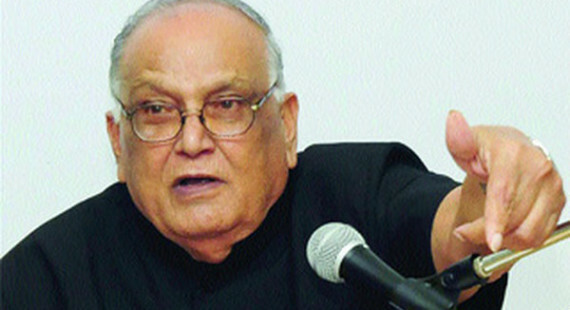 His former vice-president’s announcement could not come at a worse time. At present, John-Williams is facing a motion for his dismissal at the upcoming AGM, High Court action over his failure to share information related to the controversial US$2.25 million Home of Football project in Couva, and a board in near revolt. 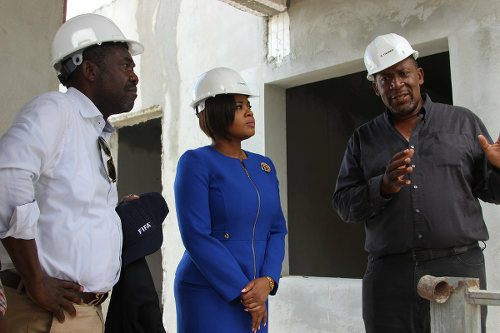 Photo: (From right) TTFA president David John-Williams, Sport Minister Shamfa Cudjoe and FIFA official Veron Mosengo-Omba inspect the TTFA’s Home of Football in Couva on 20 August 2018. 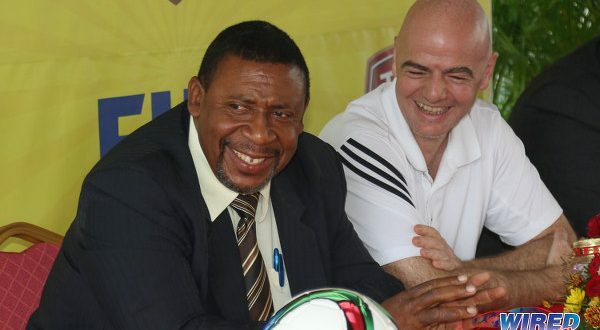 Within the past two months, John-Williams was called unprofessional by National Under-20 coach Russell Latapy, untrustworthy by technical director Anton Corneal and dishonest and incompetent by US Chargé d’Affaires John McIntyre. 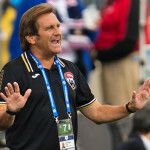 Women Soca Warriors manager Jinelle James described John-Williams’ administration as “chauvinistic and misogynistic”, Sport Minister Shamfa Cudjoe blamed the administration for causing a “national embarrassment” while 2006 World Cup manager and former WICB CEO Bruce Aanensen started an online petition calling for the president’s removal. Two days ago, John-Williams—not for the first time—attempted a legal manoeuvre that could have led to the further disenfranchising of members, when he advised Latapy-George of a new compliance deadline of 30 September 2018. If successful, the change of dates might have affected which members were able to vote on an upcoming motion for his dismissal. 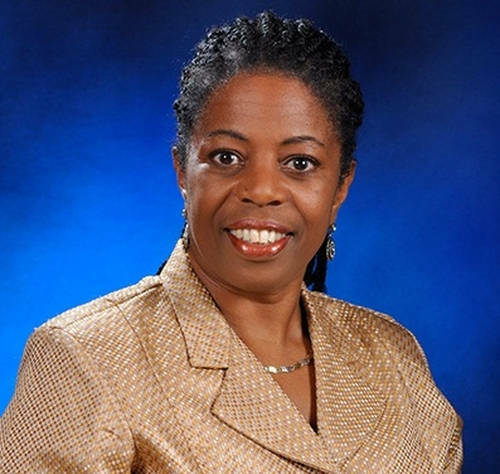 However, Latapy-George—on the urging of three unnamed board members—defied John-Williams. “It has now been repeated by at least three members that the compliance date is 31 December 2018,” the general secretary wrote to John-Williams on Wednesday, in an email which was copied to the board. “Prior to me sending notice, I advised that the unconfirmed minutes suggest a date of 31 December 2018 (these draft minutes where shared with you via WhatsApp on 3 September 2018). Photo: TTFA general secretary Justin Latapy-George (left) chats with ex-TTSL general secretary Camara David at the Ato Boldon Stadium, Couva on 10 April 2017. “You indicated that your recollection and [inquiries] confirmed a date of 30 September 2018. As a closed circuit discussion including the board of directors only, can you respond/advise accordingly? Thus far, John-Williams has not responded to his general secretary. It is uncertain how history would remember Salazar’s contribution to football. 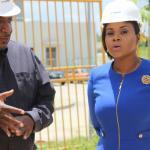 A Phoenix Park Gas Processors vice-president, she was an unknown quantity in sport when she was elected TTFA vice-president in 2015, alongside Davis and Allan Warner. John-Williams, who had just defeated former president Raymond Tim Kee at the polls, pleaded with voters to allow him to work with his entire slate; and they agreed. 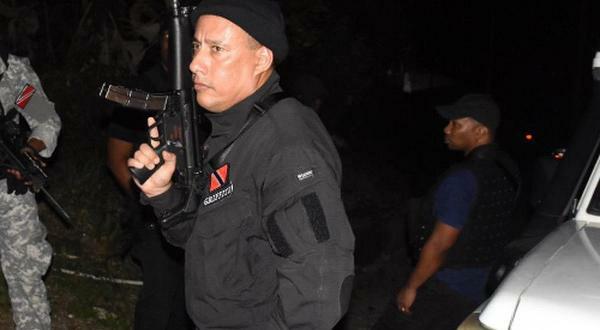 However, barely six months passed when Warner, a relative of disgraced former FIFA vice-president Jack Warner, decided he had enough. 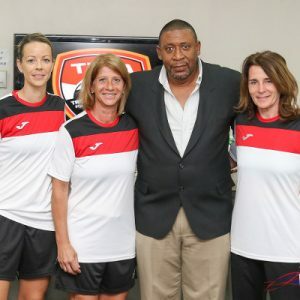 Photo: TTFA president David John-Williams (third from right) poses with then national women’s coaches (from left) Nicola Williams, Carolina Morace and Elisabetta Bavagnoli at a press conference in the Ato Boldon Stadium, Couva on 1 February 2017. 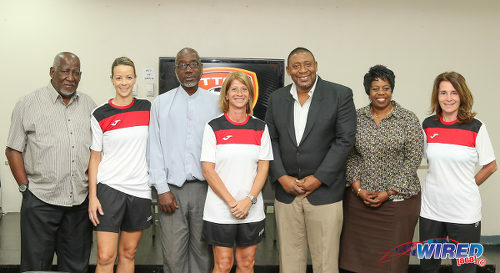 Also in the photograph are TTFA vice-presidents Joanne Salazar (second from right) and Ewing Davis (third from left) and late TTFA technical director Muhammad Isa (far left). 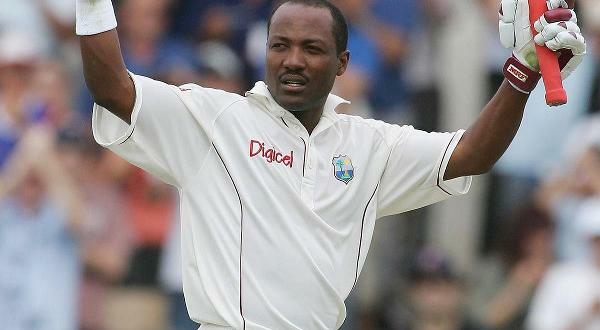 After publicly criticising John-Williams’ governance style, Warner (A) stopped attending meetings and was subsequently stripped of his board position. “I think […] the present style of governance resembles closely the previous era,” Warner told Wired868 in 2016, “and I think FIFA, with all its reorganisation, is trying its best to get away from the one-man governance style. So people like me who see that kind of behaviour would have a challenge. Salazar outlasted Warner by over two years. She was once considered the only person capable of getting John-Williams’ ear. Together, they unsuccessfully contested posts within the Caribbean Football Union (CFU) and Concacaf in 2016, while she helped the president stave over a Men’s National Senior Team strike—within weeks of their election—and often offered an eloquent defence of his actions on radio programmes, board meetings, AGMs and everywhere in between. 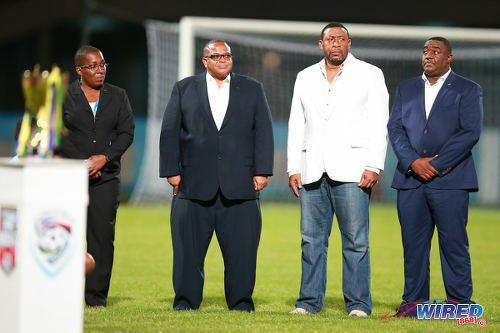 Photo: Then CFU president Gordon Derrick (second from left) is sandwiched by TTFA president David John-Williams (second from right) and TTFA employee Sharon O’Brien (far left) before the CFU Under-17 final on 25 September 2016 at the Ato Boldon Stadium. John-Williams tried unsuccessfully to replace Derrick as CFU president on 23 July 2016. Rumours of growing distance between the pair gained momentum over the past year, though, and Salazar did not give John-Williams the usual staunch support over the contentious Home of Football project. Eleven days ago, Salazar apparently informed John-Williams and Latapy-George that she had enough. Inexplicably, neither official informed the board, the football membership or the public. Worse, the football president appeared to pretend that she was an active, voting member when it suited him. For the first time in months, John-Williams responded to our query. Last night, Salazar appeared to expose the charade, as she confirmed her goodbye to board members. 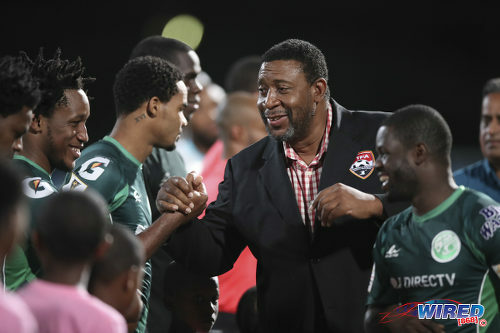 Photo: TTFA president and W Connection owner David John-Williams (centre) greets players (from right) Hughtun Hector, Alvin Jones and Maurice Forde before kick off against Police FC in the TTFA FA Trophy final at the Ato Boldon Stadium on 8 December 2017. I am writing to inform you that I resigned for personal reasons on Tuesday September 11, 2018, as is customary in such circumstances, I submitted my resignation, in writing, to the General Secretary and the President. I have appreciated and learned a lot from our interactions and you being willing to share your experience and expertise which have deepened knowledge of football. It has been a pleasure working with you and the wider TTFA membership; I am confident that within Trinidad & Tobago resides the talent for our teams to consistently grace the highest levels of the game. Good luck and God’s richest blessings to each of you. 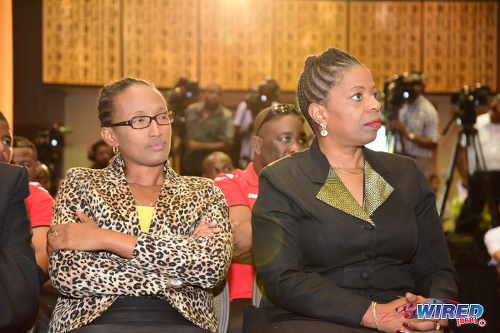 Photo: TTFA vice-president Joanne Salazar (right) sits alongside TTFA deputy general secretary Michelle Lynch at a joint Shanghai Group of Companies/TTFA press conference in May 2016. David John-Williams (president), Ewing Davis (vice-president), Richard Quan Chan (Southern FA), Anthony Moore (Tobago FA), Wayne Cunningham (Eastern FA), Karanjabari Williams (Northern FA), Joseph Taylor (Trinidad and Tobago Football Referees Association), Sharon Warrick (Women’s League Football), Julia Baptiste (TT Pro League), Collin Partap (Central Football Association) and Keith Look Loy (TTSL). Editor’s Note: TTFA general secretary Justin Latapy-George confirmed that Joanne Salazar resigned on 11 September and he was instructed by president David John-Williams to keep that information from the TTFA board. 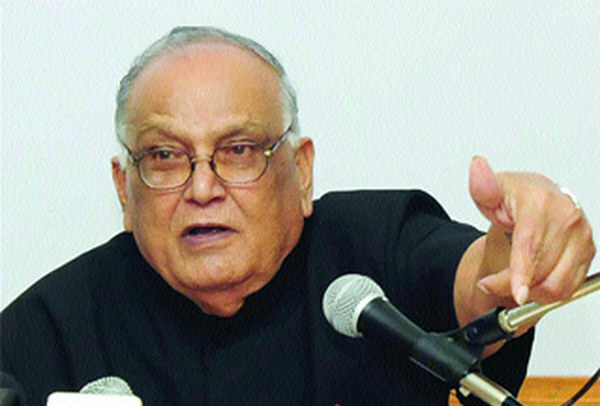 Click HERE to read story.